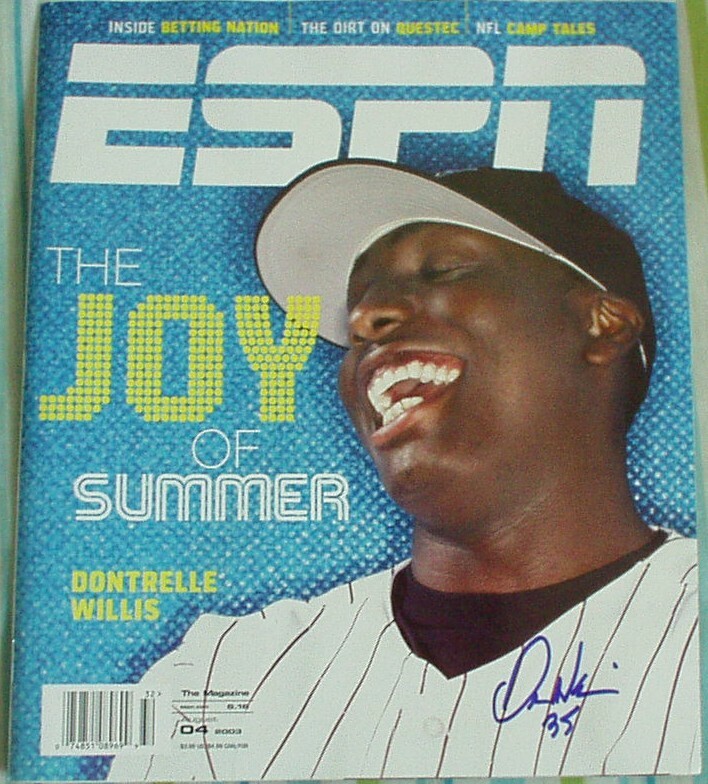 2003 ESPN The Magazine complete issue autographed on the cover by former Florida Marlins pitching sensation Dontrelle Willis. With certificate of authenticity from AutographsForSale.com. ONLY 3 AVAILABLE FOR SALE.